One Last Video: Syrian Citizen Journalist Slain : The Two-Way The 24-year-old citizen journalist was shot in the head by Syrian security, while filming at a checkpoint. Activists said Al-Sayed was one of the few who filmed security forces opening fire directly at protesters. 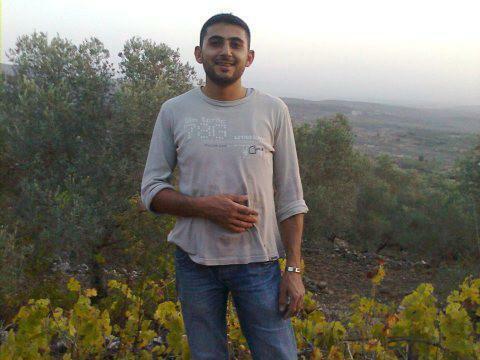 Basil al-Sayed, a Syrian citizen journalist who lost his life documenting the uprising in Homs. According to activist Rami Jarrah, yesterday, al-Sayed succumbed to his injuries at a hospital in the restive city of Homs. He was 24. "We have thousands of citizen journalists," Jarrah told NPR's Deb Amos. "But Basil was one of those who stood out." Jarrah said al-Sayed filmed security forces opening fire directly at protesters, and that put him at serious risk. "He was documenting stuff that no one could actually get hold of," Jarrah said. "I don't want to say this was expected, but he was always in those situations where you could expect something would happen to him." Jarrah said that al-Sayed's last video was taken at a checkpoint in the neighborhood of Bab Amr and uploaded to YouTube by fellow activists there. "This video caused me to cry hard," blogger Ali Alhasan wrote, "because of his death and because this is going on until now with the world watching and still following the diplomatic methods to resolve the situation." The camera Basil al-Sayed used to record protests before he was shot. Foreign journalists have been mostly banned from entering Syria since a popular uprising against the rule of President Bashar Assad began in the country 10 months ago. In many cases, the videos uploaded to YouTube by citizen journalists have been the only way for the outside world to see the clashes that have cost more than 5,000 people their lives in Syria. 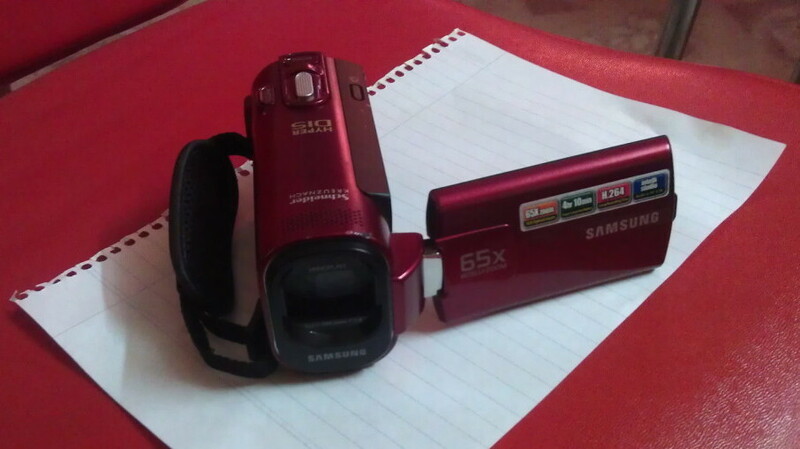 Al-Sayed documented the uprising using a small Samsung camcorder that has a red body. He uploaded hundreds of hours of footage to YouTube. He has a brother and sister, and he was the youngest in his family. He worked at an aluminum plant in Homs. In Bab Amr, the neighborhood that has come under a heavy attack by the security forces over the past few months, the role of al-Sayed was instrumental in relaying information and getting the word out, Jarrah added. The video below, uploaded by activists to YouTube, reportedly shows Basil's mother and relatives weeping over the body of their son before he was laid to rest. She asks to take one last look at him and tries to touch his pale face. "For the love of God," she says as another man covers his face. Ahmed Al Omran is a production assistant with NPR's social media desk.